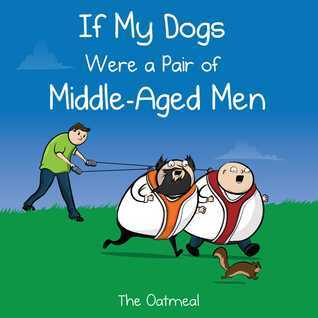 I’ve always been a fan of The Oatmeal so I had very high expectations for this little book, which weren’t entirely met. Matthew Inman tends to go one of two ways with his comics – hilarious or profound. This one was ‘quite funny’, it does what it says on the label and the illustrations are as amazing as you’d expect so I would have loved it if I didn’t know he could be so much funnier. All that being said, I would absolutely buy a copy of this as a coffee table book for guests to enjoy! Gordon manages to convey the majesty, love and ridiculousness of parenting in this book. 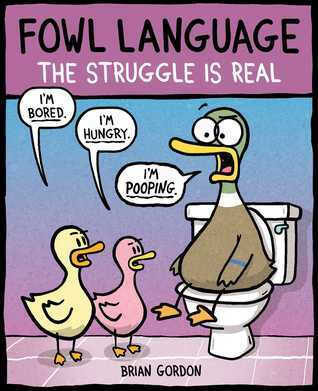 I love the illustrations of a duck being driven insane by his ducklings, with the occasional sweet panel of how much all the madness is worth it just to have a cuddle. If it teaches you one thing: you need a sense of humour if you’re going to get out of parenting with your sanity intact. 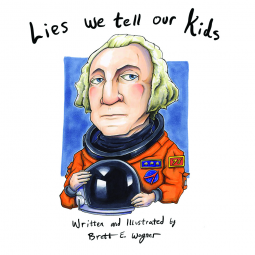 Refer to my last sentence for the above review: ‘you need a sense of humour’… I was expecting this little book to be full of really sweet and funny anecdotes about the lies people have told their children, along with accompanying child-friendly illustrations. What I got was a picture of a rabbit messily eating a human finger and a load of ‘meh’ lies that have presumably been told to children. There’s no doubting the talent of the illustrator, but I think that this book missed the mark where it comes to choosing its audience. EEEEEE!!!!! This book was so beautiful and sweet, I fell in love with it. The illustrations. The illustrations alone were a thing of beauty – the style is so unique, with amazing use of colours that it was a delight to look at. I definitely see myself buying a print copy of this, just so I know it’s safely tucked up in my bookcase. 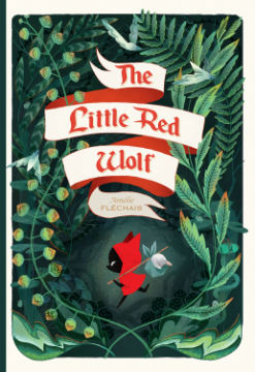 The story itself is something special too, a retelling of little red riding hood (could you guess?) that takes a completely different turn that I didn’t see coming. It’s similar to a traditional fairytale in that it carries a moral message while leaving you slightly confused as to what it is. I’m really enjoying going back to my roots and reading more comics again, I’ve always been a huge fan of anything with illustrations – comic strips are the perfect way to express something profound in a simple way. As Einstein said: “If you can’t explain it simply, you don’t understand it well enough”. Yep. I’m the insufferable person who just quoted Einstein in a blog post. Let that sink in.